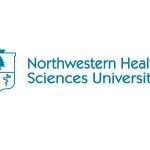 October 10, 2011 — As the face of healthcare changes, Northwestern Health Sciences University is hosting a conversation on how upcoming changes will affect providers and those in the business community. Jerry Curtin, director of human resources for Standard Process Inc., will be discussing healthcare innovations in the business community during the Oct. 11 symposium. Curtin will participate in the “Health Care Innovations in the Business Community” panel discussion beginning at 3:30 p.m. Fellow panelists include Rosie Ward, PhD, health management services manager for RJF Agencies, and Joe McErlane, Jr., president of NeoPath Health. Hosted by Northwestern’s Center for Healthcare Innovation and Policy, the event will provide an in-depth examination of the role and value of complementary and integrative healthcare choices. Healthcare professionals, business leaders, and university and community members are invited to attend the symposium. It will run from 1 p.m. to 5 p.m. The event is co-sponsored by the University of Minnesota’s Center for Spirituality & Healing and the Abbot Northwestern Hospital Penny George Institute for Health & Healing. For more information on this event, call 952-885-5470 or email chip@nwhealth.edu.